W H O S E WAY A R E W E P R E PA R I N G ? Every Sunday when I come to the Eucharist and am confronted by the words inscribed in stone over the entrance of my parish church, “Prepare the way of the Lord,” I am reminded that the first sacrifice I must make at this Mass is my own ego, and as I strive to relinquish the need to be in control of what will happen at this Eucharist I ask, “What does my lord bid his servant?” (Joshua 5:14). Each of us, if given the opportunity to share what we think is keeping us from getting the most out of the Eucharist, is apt to come up with our own list. Recently I asked this question online and received a deluge of responses. Many were true abuses of the liturgy,and were worthy of being reported to the diocesan bishop, but just as many were not. When I shared my amazement at the number of responses with my wife,she very keenly mused,“They all feel helpless,like they have no control.” As soon as she said this I realized that this was exactly the same thing I had heard from priests and musicians, the two groups who are most often the target of the congregation’s ire.Priests who come into a new parish and encounter established ways of doing things with which they do not agree and yet are powerless (at least at first) to change and musicians who are hired to provide a parish with beautiful music yet find themselves restrained by parish staff or established practice to playing pieces they feel are less than worthy of the liturgy often express frustration at their lack of control. This brings home a point that we do not like to admit: None of us is in control, no matter what our function is in the liturgy. Yet we are all tempted to think that if we were in charge we could make it all perfect. • An Easter Sunday where a visiting priest tried to woo thecongregation by creating a “Mass” of his own making, never once using the words prescribed by the Church from beginning to end. • A musician who saw himself as in a battle with the cele-brant and who continually and loudly played music over the presider’s attempts to pray the prescribed prayers of the Church. • A congregant who screamed out for the priest to stopbecause “no one” —meaning herself — “knew where he was” in the liturgy. 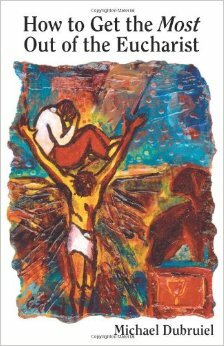 • A congregant who held up a crucifix as he processedtoward the altar to receive the Eucharist and then, after receiving the Eucharist, turned and exorcised the congregation with loud prayers and wild gesticulations of the cross.